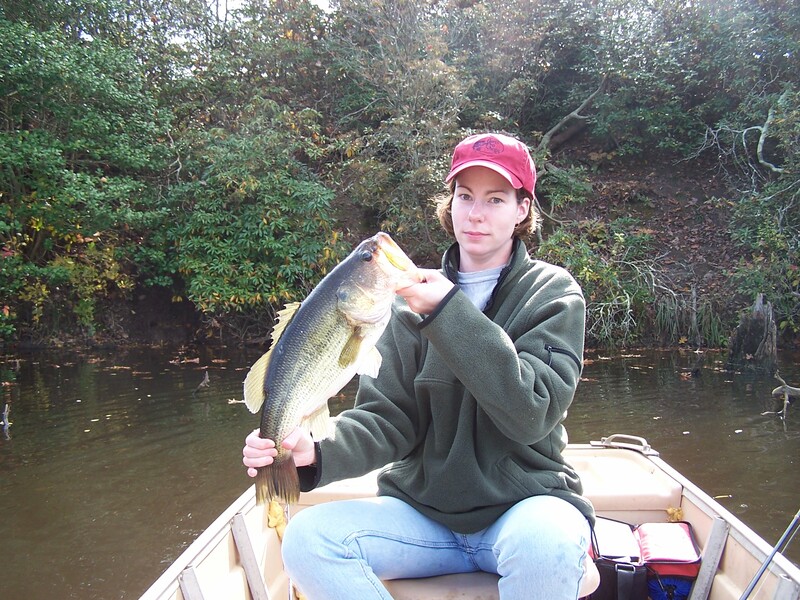 Disclaimer: Any professional bass anglers should stop reading RIGHT NOW. The three amigos in this article are not professionals, and fish only for the thrill of feeling a tug on the line and potentially landing a whopper—or at least getting said whopper close enough to the boat to inspire a magnificent fish tale with which to bore awe family and friends. We do not compete in tournaments (not sanctioned ones, anyway…there always seems to be some sort of contest within the boat), nor do we fish to fill our plates. We are strictly catch-and-release, recreational fisher persons. Therefore, our choice of tackle and our bass fishing techniques are a bit…ummm…unorthodox and would likely offend any real bass pros. Step 1: Choose appropriate fishing buddies. A hubby who’s willing to paddle the boat is a good choice, and a friend with the connections to gain access to a nice, quiet, well-stocked pond is a must. Step 2: Stake out your real estate in the boat. Male anglers may only use one lure the entire day, but they are still going to bring Prius-sized tackle boxes and an unwieldy jumble of rods which they are going to try to stow in your space. Make it seem like you are not being territorial by offering to keep the minnow bucket at your feet (this increases their re-baiting time, giving you greater odds of getting a bite while their lines are out of the water). Step 3: Set up your equipment—quickly! The boys are going to try to get the best spots, so you must act fast. Two rods are encouraged, because inevitably one is going to get hung just when your companions are having a run of good luck, and they are not going to move the boat so you can get unstuck. Preferably, rig one line with a bobber and a feisty, active minnow (professionals, I TOLD you not to read this!! ), and the other with an artificial lure like a ZOOM® finesse worm in cotton candy (read pink with glitter), spritzed liberally with garlic spray. Step 4: Cast out your lines. If it’s been a while since your last outing, it’ll take a couple casts to get the feel of things again, so don’t be surprised when your carefully chosen, feisty, active minnow flies off the hook, lands halfway across the pond, then swims for freedom, and don’t be discouraged when your artificial worm wraps itself securely around the oak limb overhanging the bank. The boys’ll still be busy rooting through their massive tackle boxes to find THE lure with which to out-fish the other, so you’ve got time to paddle over to the offending tree to rescue the tangled worm (once their lines are in the water, though, any entanglements will be met with choruses of “Cut the line! Cut the line!”). Reel your lines back in, untangle, rebait, and try again. Step 5: Fish. The minnow is fairly low-maintenance…it will swim around, dragging the bobber across the top of the pond as it searches for a sunken log to hide under, and in the process will eventually run into a hungry bass. Until then, you are free to actively fish the artificial worm. 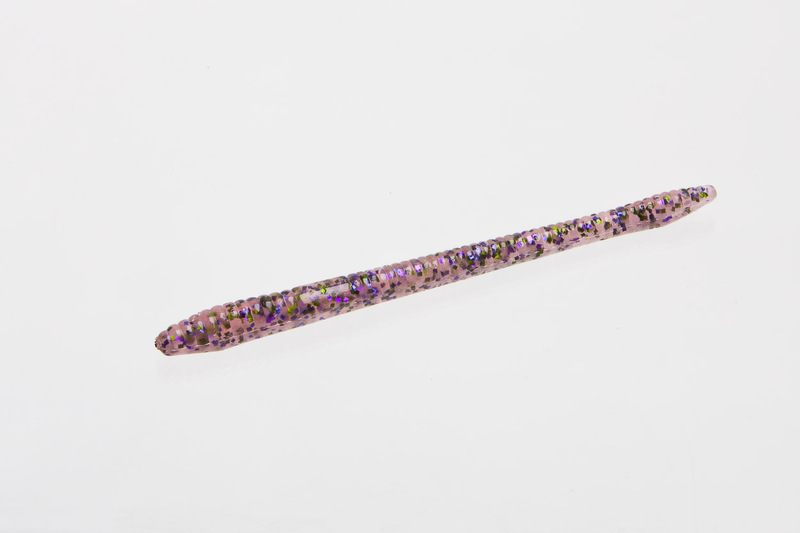 Cast it into shady areas near the bank, and reel it back in slowly, giving the pole a little twitch periodically so the lure looks and acts like a real drowning worm. Repeat. Step 6: Switch on autopilot. Lose yourself in the repetitiveness of casting out and reeling in. Become absorbed in the turtles sunning on a log, the heron fishing on the opposite bank, the osprey circling overhead. Tune out the fish stories being traded by your companions, mentally compose your grocery list, plan your post-fishing snack from WaWa. Step 8: Land your fish. Assuming you have indeed hooked a fish and not a log, carefully take in the line. This is a delicate dance, two steps forward, three steps back, as the fish will weave, bob, dive, and leap in an attempt not to get anywhere near the boat. Your companions will be shouting all kinds of advice, “Give him some slack! Reel faster! Keep the tip up!” but tune it out and let your actions be directed by the fish on your line. As the bass tires and begins to submit to your will, ask a fishing buddy to ready the net to help land the beast, because until visual contact has been established and proves otherwise, every bite must be considered “the big one” and there is no worse feeling than getting “the big one” within arm’s length then having it whack its face on the boat, dislodging the hook so it can swim merrily back to its family. 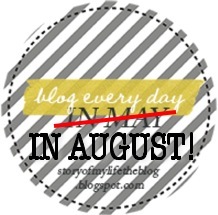 A fish tale, brought to you by Jenni’s blog-every-day challenge at Story of My Life.